Credit: Captured by A. Mayorova, Ph.D., FEFU. Being supported by mega-grant from Russian Science Foundation (RSF), researchers of Far Eastern Federal University (FEFU) and Far Eastern Branch of the Russian Academy of Sciences (FEB RAS), have revealed about 6900 hydrobionts species in the Russian Far Eastern basin. The Sea of Japan turned out to be especially rich, approximately 42 percent of all Far Eastern species inhabit here. The large-scale research program was carried out from 2014 to 2018. This was announced by Vice-President of the RAS, Head of the Department of Biodiversity and Marine Bioresources of the FEFU School of Natural Sciences Andrei Adrianov, presenting the results of the project "Technologies for Monitoring and Rational Use of Marine Biological Resources". 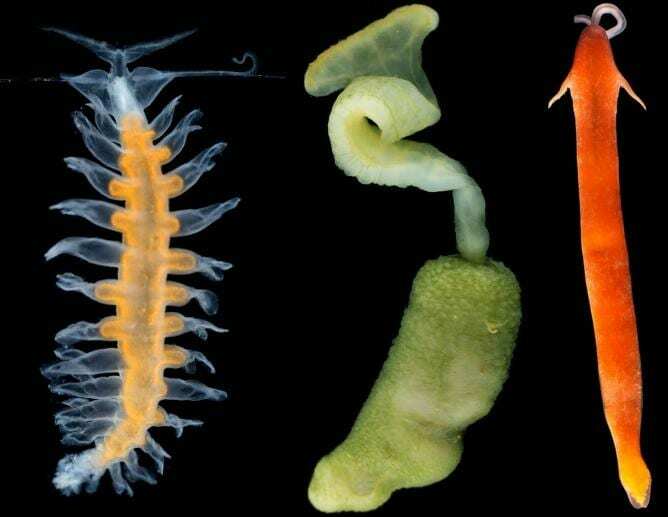 During five expeditions scientists have obtained new data on the biological diversity of the seas of the Far East. According to Andrei Adrianov, more than 6,900 species of aquatic organisms populate the Russian economic zone of the Far Eastern basin. That exceeds the number of species in the economic zone of all European countries. The Sea of Japan is particularly rich: as a result of deep-sea research, the number of identified organisms has increased six-fold compared with the previously known. Wherein, 201 of 621 species are new to science. "Deep-sea research revolutionized our understanding of biological diversity. In the Far Eastern basin, hundreds and hundreds of previously unknown organisms were found. Now a team of scientists is describing these new species. We have yet to evaluate the potential of their use. Many hydrobionts were identified as having important antitumor and antibacterial properties, which means they can become the basis to design the new generation of drugs," said Andrei Adrianov. A large-scale research program was carried out by the scientists of FEFU and the FEB RAS in the course of 2014 to 2018 at the expense of the RSF mega-grant. Scientists have developed research in five major fields: the creation of technologies for accounting, reproduction and control of biological resources, methods for assessing pollution of marine ecosystems, as well as new drugs and food. In the project were engaged 100 employees of the FEFU and the FEB RAS, 60% of which are young scientists. On the basis of the research 568 scientific articles have already been published, including 331 in international journals.